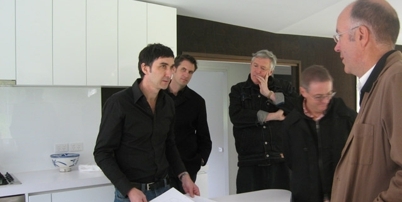 Gerard has been selected as a juror for the 2007 RAIA National Architecture Awards. This prestigous appointment carries with it the responsibility to curate a selection of the most important work carried out in Australia that has been submitted for awards in 2007. Fellow jurors are Carey Lyon (Chair), Brit Andresen, Tom Henegan and John Wardle.